"When the word church is mentioned, many people tend to think of a formal building with a steeple and stained-glass windows. For others, the word brings to mind the idea of a denomination. But the church is much more. In this booklet, Dr. R. C. Sproul carefully and clearly explains that the church is a body of people saved by Jesus Christ and regenerated by the Holy Spirit who live to glorify and enjoy God. Beginning with the ancient Nicene Creed, which affirms that the church is 'one, holy, catholic, and apostolic,' Dr. Sproul provides accessible teaching on one of the most misunderstood of all Christian doctrines." What Is The Church? by Sproul, R. C. was published by Reformation Trust in June 2016 and is our 30695th best seller. 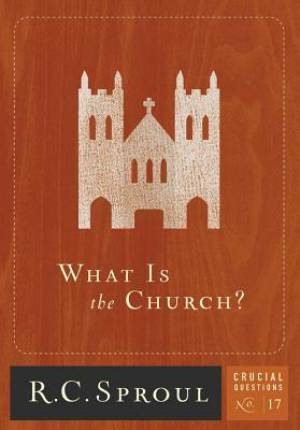 The ISBN for What Is The Church? is 9781567693294. Reviews of What Is The Church? Be the first to review What Is The Church?! Got a question? No problem! Just click here to ask us about What Is The Church?. Details for What Is The Church?